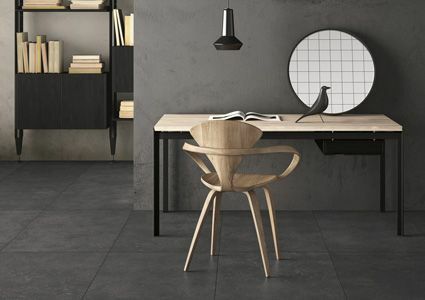 Recreating the magic of natural settings within urban space; the knots and veins of wood, captivating imperfections, become a source of inspiration for these eco-friendly porcelain stoneware surfaces. Fiandre reinterprets the allure of the living material, selecting four different shades inspired by the fragrances and colours of the wood. Eminent Wood Maximum conjures up the magical ritual of transforming nature. Trees become stone, maintaining their original ligneous structure and turning into fossilised jewels. 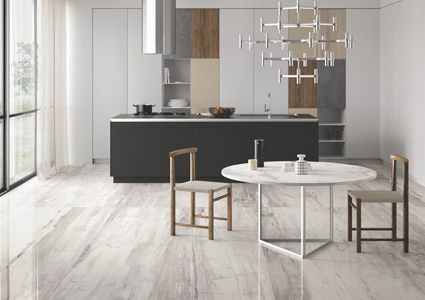 Eminent Wood porcelain stoneware surfaces are inspired by an extraordinary natural phenomenon that creates fine boards with an inimitable aesthetic, cut through with vivid “brushstrokes” of colour. 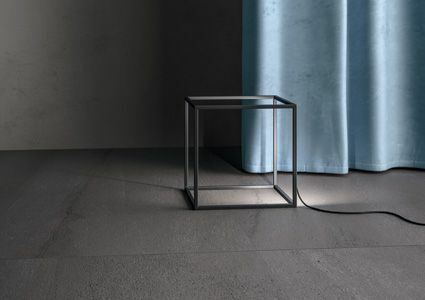 Stone has always been a symbol of solidity and durability, and it has a close bond with mankind, starting with the first ever constructions and continues to this day in contemporary architecture. That primordial human need to shape and transform natural elements can be traced back not only to our instinct of self-preservation, but to an innate desire to express ourselves as well. 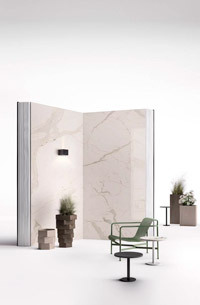 GranitiFiandre’s Megalith reinterprets the ancestral charm of stone, on which humans have always written their stories. MUSA+ is inspiration on the spur of the moment, the memory of an instant; it is the desire to create. It is art. 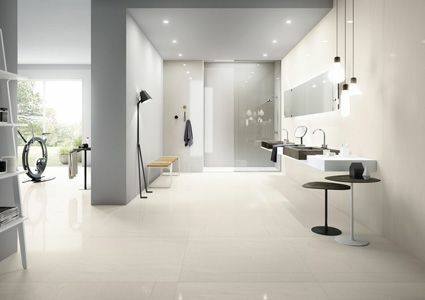 Ceramic tiles are presented in an original range of colours and sizes with an apparent neutrality. Indeed, it is these very basic shades that enable you to go beyond mere creative ability, playing with combinations oozing with rare elegance and absolute originality. In principle, in the world of origins, rocks and mountains appeared to be unchanging, perennial entities; as if in a new genesis, they have proven to be the result of sedimentation and of the action of atmospheric agents and phenomena.